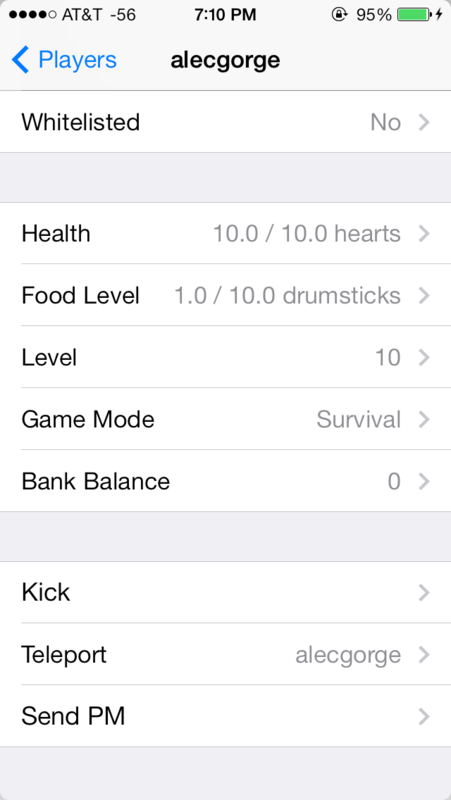 Adminium 3.0 — An app for iOS that allows you to manage your SMP Minecraft server running Bukkit. A complete Minecraft server management solution. Console access, perfect chat, complete file editing, plugin installation, inventories, granular access permissions, notifications, performance metrics + more. Adminium has an extensive feature set. Some of the highlights are show below, but this is by no means a complete list. You can make accounts for your moderators and players and control exactly what they have access to. There are almost 40 different permission nodes that you can give to different users. For example, our friend Jon is part of the “partial_test” group and he can view, add, edit and delete files and folders, view the chat, view the server console and run console commands. However, he cannot speak in chat. Continuing from our example above, when Jon signs into the server with Adminium, he can only see the features he has access to. Adminium easily supports multiple servers to it is easy for you to have multiple accounts to test all of this functionality from one device. 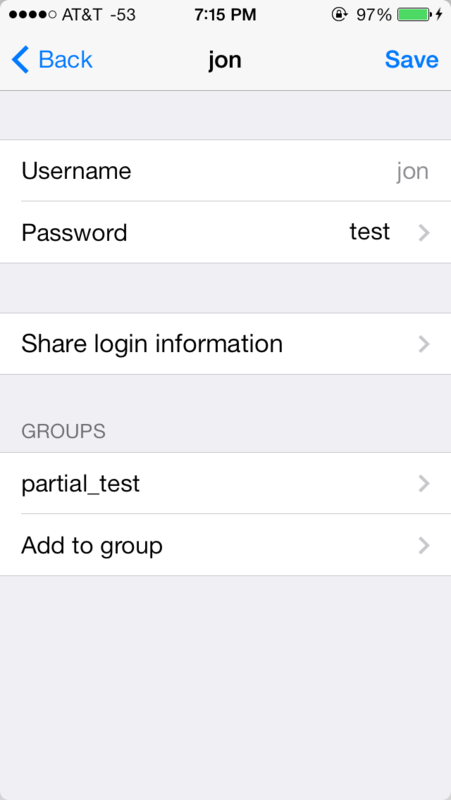 If you are confident with yaml files, you can also edit users.yml and groups.yml by hand. Chat with the players on your server as if you were actually there. Never miss another moment of discussion on your server. If the messages are flying by too fast, you can easily place your thumb on the screen and pause the conversation. Adminium has many features, but if there is some functionality that Adminium is missing, you still have the full power of the Minecraft server console, plus some bonus features. 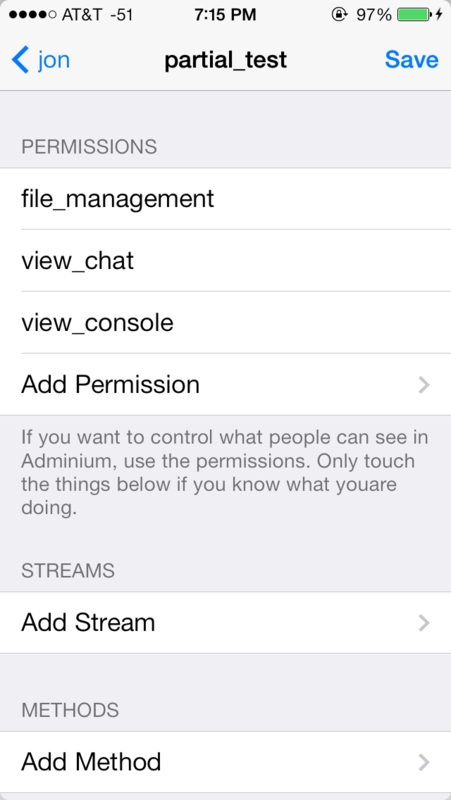 Adminium allows you to add saved commands to quickly recall complex functionality. 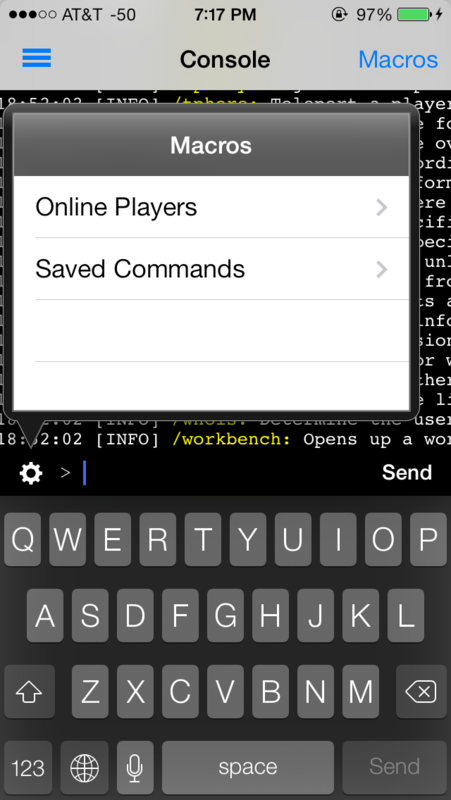 Adminium also allows you to rapidy insert the name of any player that is currently online. 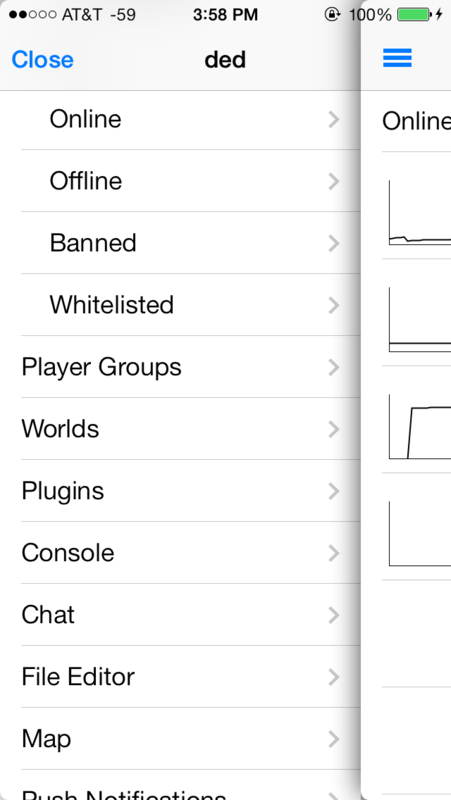 View online players, offline players, whitelisted players, and banned players. You can view and edit any player in the same way. 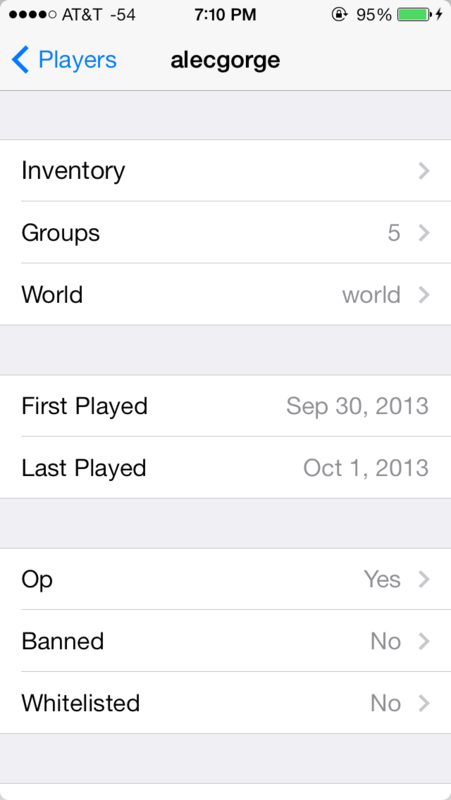 View the player’s inventory, the player’s groups and so much more. View a player’s inventory just like you see it in the game. You can modify each slot. 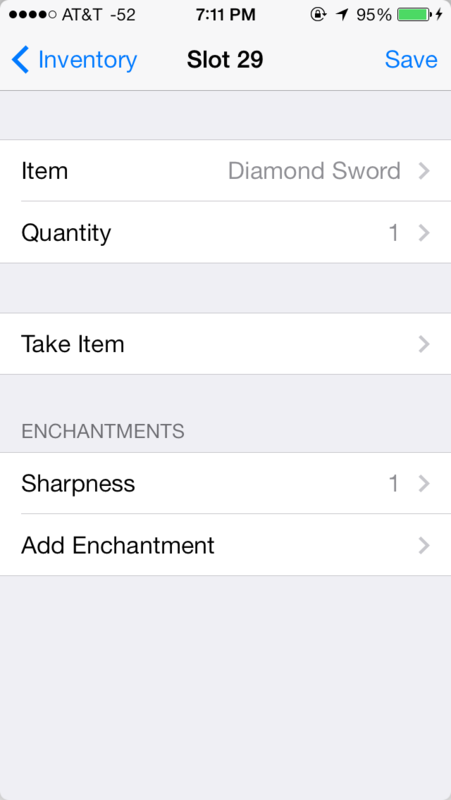 You can enchant a player’s weapons, give them 64 diamond blocks or maybe just put TNT on their head! Adminium allows you to see all the plugins you have on your server and allows you to enable or disable them on the fly. With a $1.99 in app purchase, you can also discover, install and enable any plugins from BukkitDev. Adminium gives you the power to edit any file in your server directory. 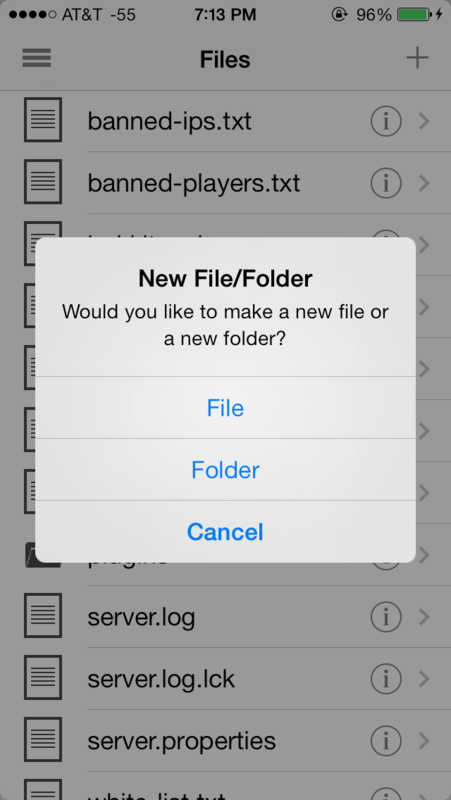 You can add files and folders, rename any file or folder, edit any text file and delete any file or folder. You also have the ability to search for and optionally replace phrases within these files for even more rapid administration. 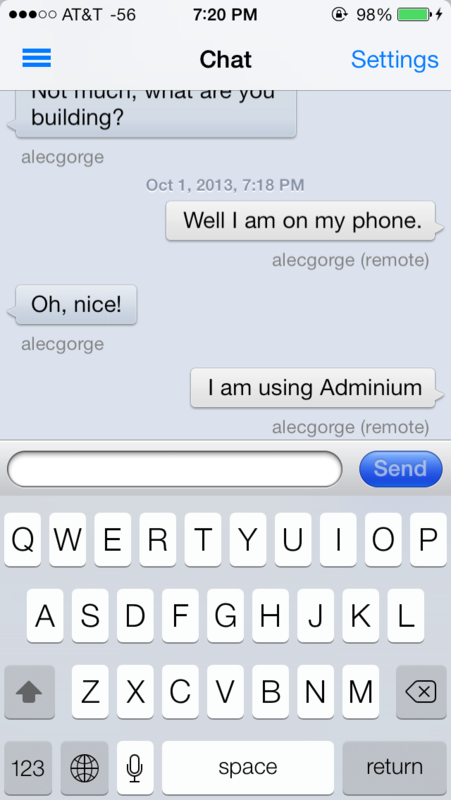 Adminium comes with four push notifications with a fifth available for purchase. 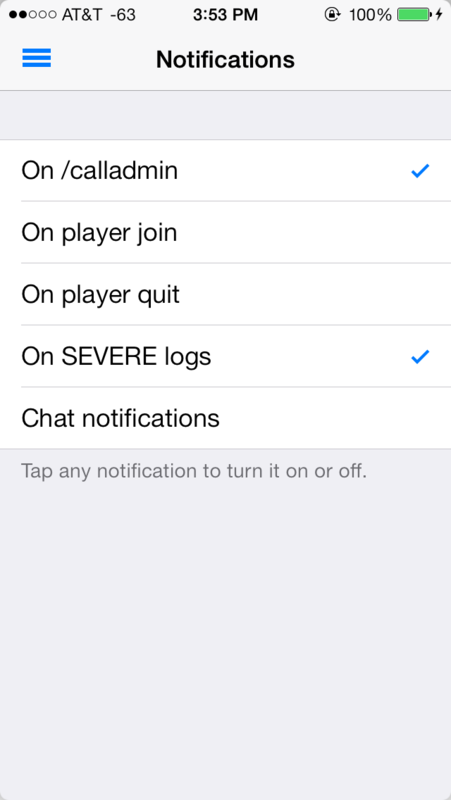 Adminium comes with the ability to recieve notifications when players join and leave your server, when there are SEVERE errors in the console and when players use the /calladmin [reason] in-game command. This allows your users to send you a personalized message whenever they are having issues. There is an option in config.yml to limit usage of this command to users with the jsonapi.calladmin permission. 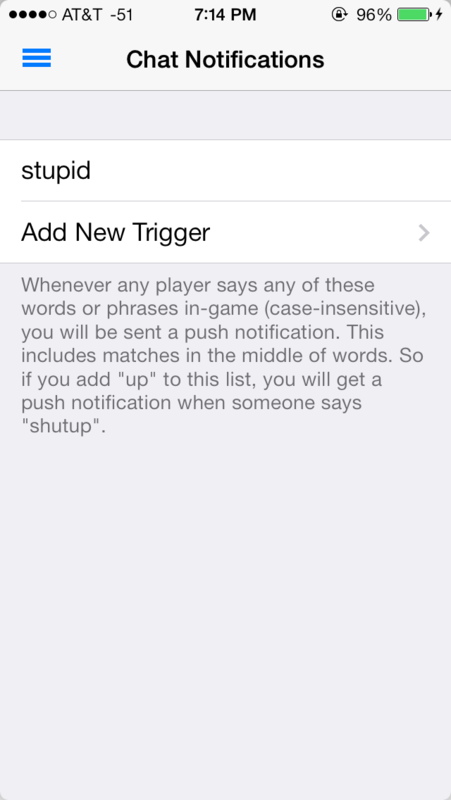 With a $1.99 in app purchase, you can also recieve notifications when certain words or phrases are said in chat. These phrases are configurable and you can define an unlimited number. 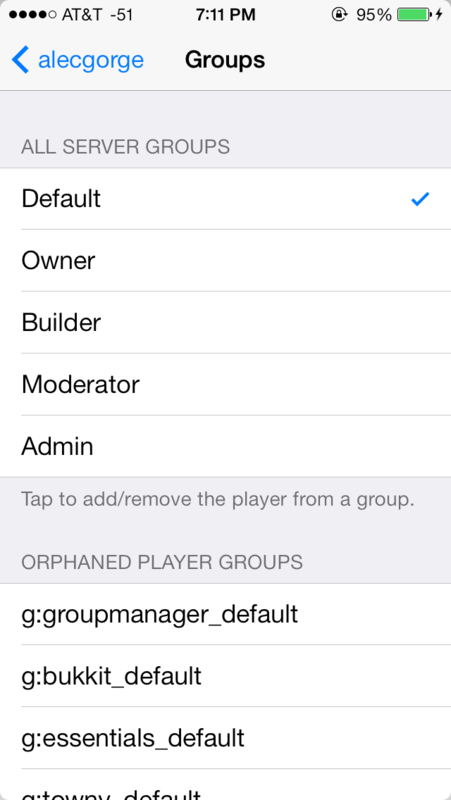 You can control what groups players belong to and view which players are in each group. Please note that for this to work properly you need Vault and permissions plugin to be installed. Whenever you connect to a server, Adminium shows you an overview of your server recently. 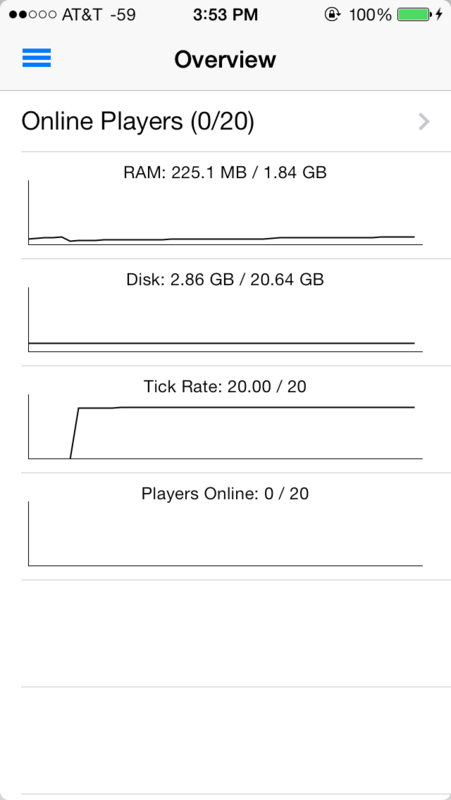 It gives you a graph of RAM usage, disk usage, ticks per second and online players. This overview screen also gives you access to commonly used features. These are just a limited selection of the 300+ cumulative 5-star reviews for Adminium. Very Good! 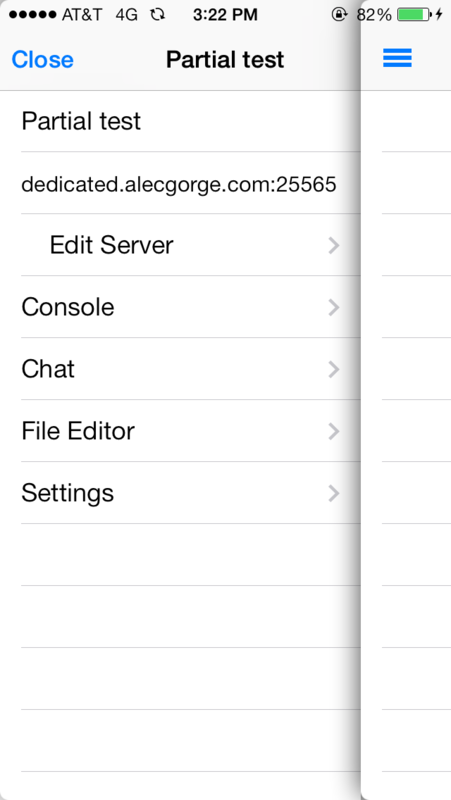 - I really like the ability to maintain your server in the palm of your hands. It's really helpful as I am usually gone most of the time. This is is truly AMAZING. It is a must have for any server. I run a pretty large server and this is amazing.The customer support is amazing; I received a personal email with 10 minutes of asking a question. Been using it since beta to maintain my 30+ server MyMinecraft.com. I recommend all server admins use this app! This has been the best tool I could ask for. It is everything I was expecting. I had trouble getting the chat to work so I email support. I got an answer extremely quick, and it solved my issue. (user error like usual). I would recommend this app to anyone who is serious about supporting their server. I can't wait until they update this app and add more to an already loaded tool. Great app! A tool any serious server operator cannot go without. GREAT APP! - This app is so useful! Now I can finally have a life and still control my server. Recently I was on holiday and found out that one of the plugins was crashing my server. I was able to quickly disable the plugin and start my server again, all from the app! I strongly recommend this app to all Minecraft server owners. worth the money. People out there who aren't sure about spending $10.49, I can tell you that your money will be spent. I recommend this app to anyone with a Minecraft Server Admin who likes to keep things under control easily. I use this app while I'm playing minecraft as it is easy to monitor the console and view different statuses on players etc Buyers, if you are having trouble with the app, email the developer and he gets back to you within 10 mins. Amazing - 3 minute response time to my E-mail. This app is the BEST purchase I've ever made! Thanks! Amazing - must have - This app is amazing! With a relatively easy installation (just as easy as any other plugin) this app functions great! 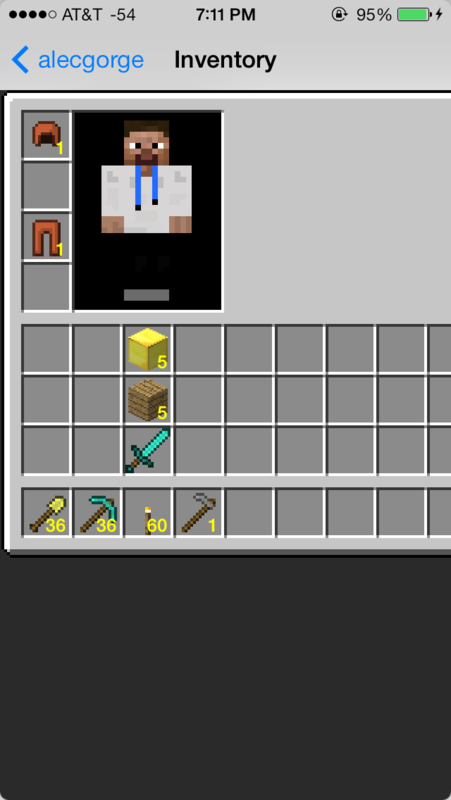 The /calladmin feature helps me keep in touch with people when I am not near my server, and I can always chat with the server from my phone! With Dynmap I can see what players are up too anywhere, anytime! I use this tool more than any other plugin for security (monitoring players). If you are serious about your minecraft server, get this app! Great app - A must have for any serious Bukkit Minecraft server admin. To use Adminium you need a Bukkit or MCPC+ server with JSONAPI installed. If you don't currently have Bukkit, MCPC+ or JSONAPI, you can read the setup guides below. If you are using Forge, Feed the Beast or similiar, you will need to switch to MCPC+ to use JSONAPI. You will very likely be able to keep all your mods, you just need to swap out the launch jar. We have several guides written to help you get started with Adminium. If you do not already have a Bukkit server you can read Creating a Bukkit Server. However, if you already have a functioning Bukkit server or if you are running MCPC+ you can continue to Hooking Up Adminium to the Server. I want to hear from you! You can report a bug, request a feature or just chat. There are several ways of contacting me. You can also contact me on Twitter @a_dminium. 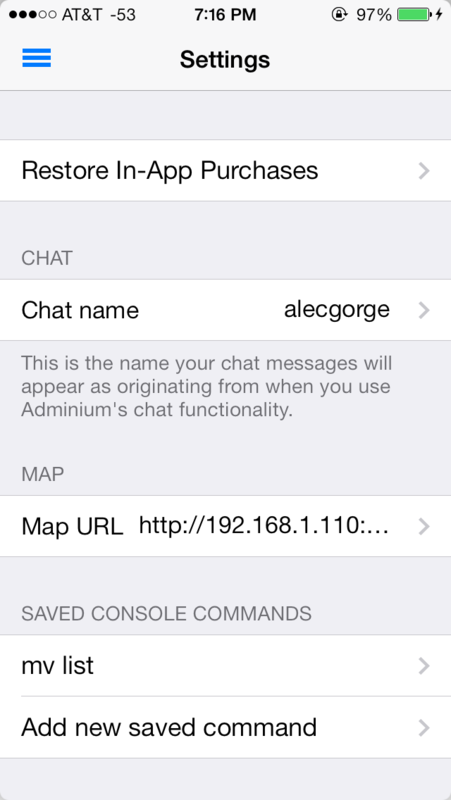 Alternatively, you can reach me (Alec) via the Bukkit forums. My profile page is alecgorge. You can also contact me on Twitter @ a_dminium.